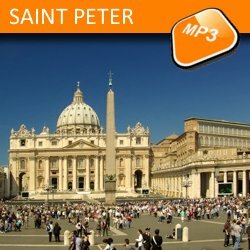 Description: The monumental elliptical square of St. Peter is undoubtedly the masterpiece of Gian Lorenzo Bernini, designed and built between 1657-1667, during the pontificate of Alexander VII and of Clement IX. The facade of St Peter, designed by Carlo Maderno and built between 1608 and 1612, is huge; it measures 118 by 48 meters (387 by 157 feet). The eight massive columns of the facade are almost 10ft wide and 90 feet high. With this tour you will enjoy the splendour of the Vatican city, starting from the astonishing St. Peter's square and then proceeding to the Basilica, one of the best Catholic church in the world. You will admire all its beauty and monuments, such as Michelangelo's Pietà and Bernini's Baldacchino. You will finally reach the Sistine Chapel, with its beautiful ceiling and the magnificent Michelangelo's Last Judgment.